I put this image board together to share some of the inspiration behind my most recent painting. The work (which still has a bit more to go) is the upper left, 4’x4’ oil, vintage kimono textile and paper. 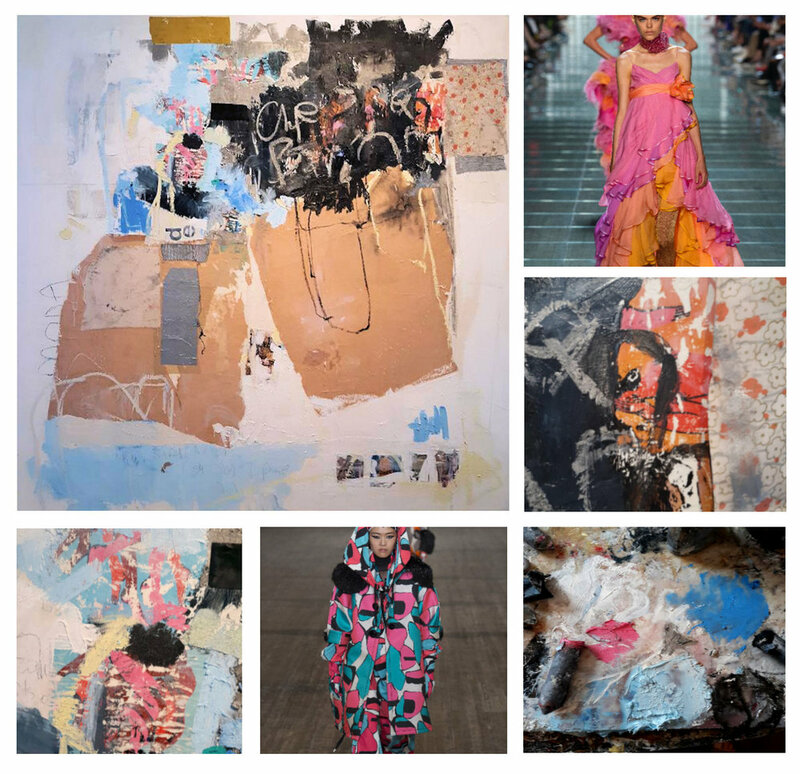 There runway images (cedit to Yannis Vlamos/indigital.tv ) are from Marc Jacobs RTW SS 2018 and 2019 shows. As we come out of the long cold days of winter I just loved watching these shows again and it really made me want to dig into the paint and create something triggered by the predominant colors in the show! Check back to see how the painting finishes, it will be in my Catwalk collection! I will be posting the finished piece shortly! Check back often. Will be available directly on Susan Washington Fine Art, Saatchi Art. Interior designers, please contact us directly for trade info.